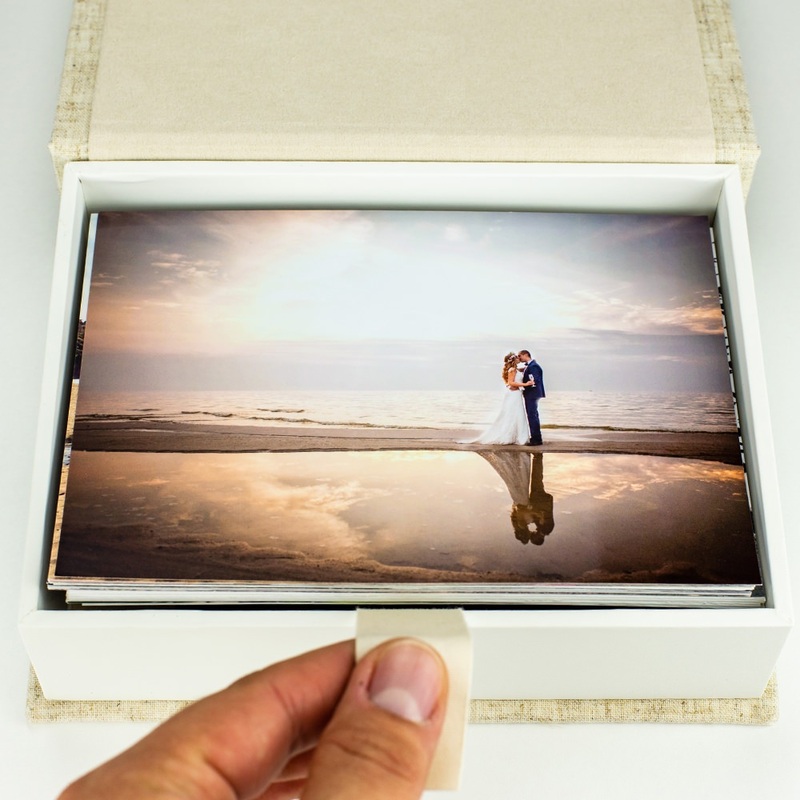 When you have important photos, you want them to last forever. 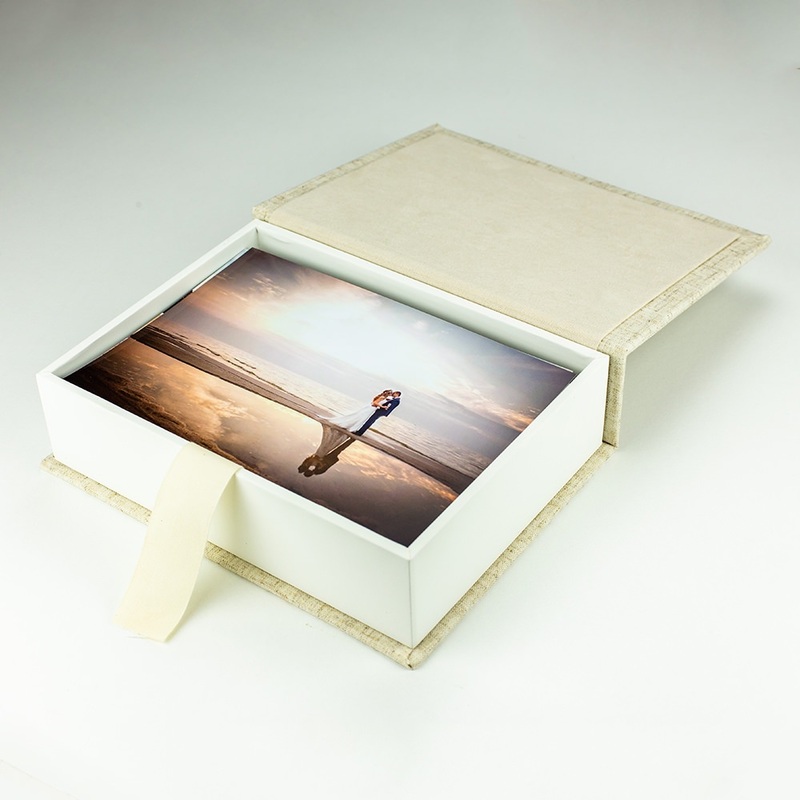 They can with the Splendor photo box, a wedding presentation box for photographers looking to gift their client’s photos in style. 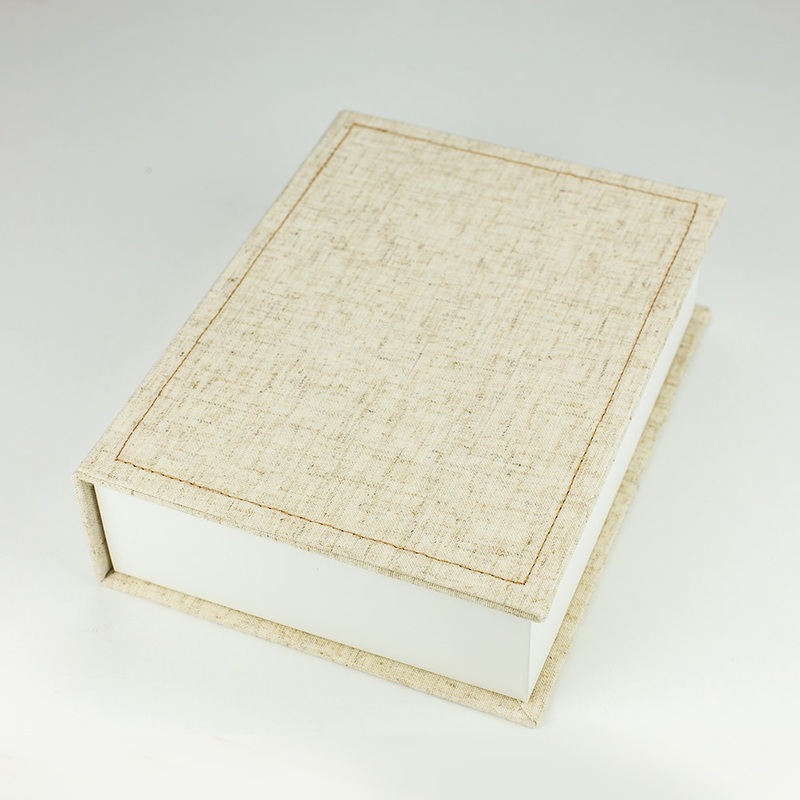 This package fits up to 175 photos 4 x 6 and is covered in luxurious materials, with matching velvet. 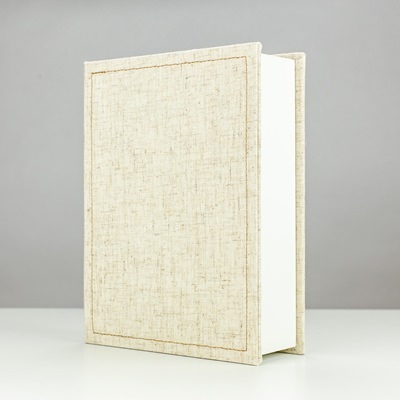 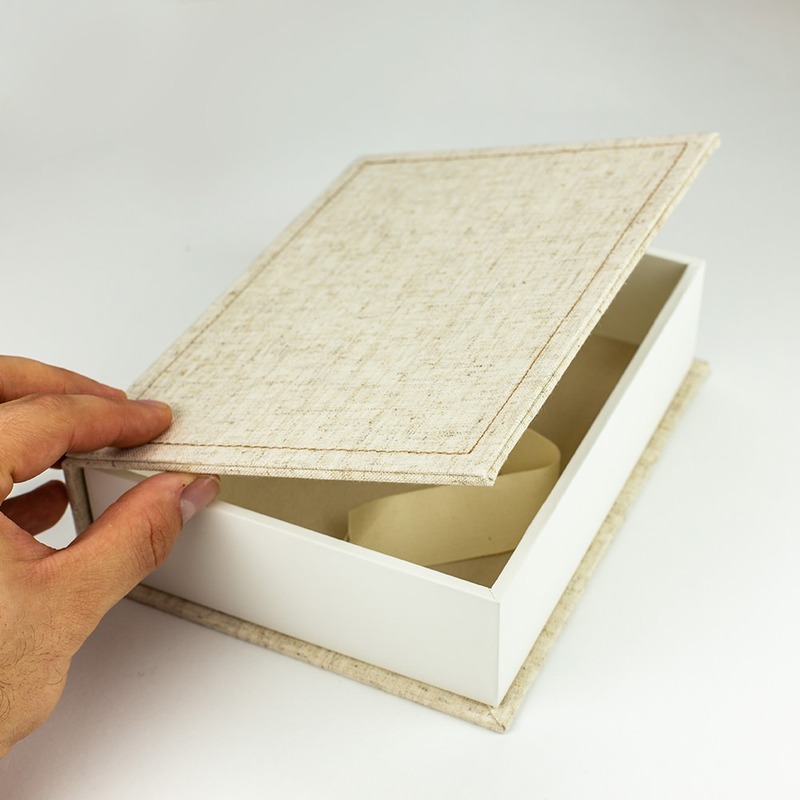 For Custom printing, see our Linen Splendor Custom Photo Box for 4"x6" Photos.